Meet at Lone Wolf starting at 9:30am. The Black Sheep and your HOG Chaplain Ed Honcik will be conducting the blessings. There will be ride after with KSU at 11:30am, stopping for lunch at Harvest Moon in Rockford, WA. The ride will take us down hwy 27 to Rockford then west on Valley Chapel Rd to the Palouse Hwy. 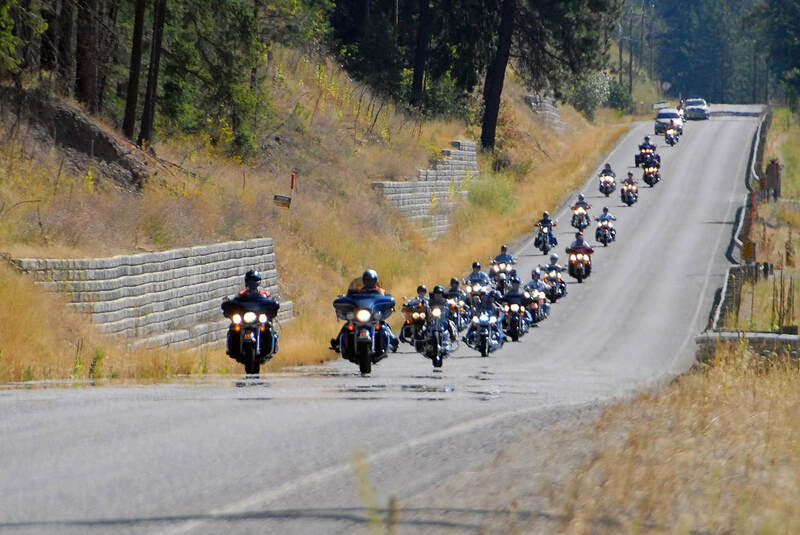 We will follow the Palouse Hwy east to Madison Rd turning left on Dishman Mica Rd to Mullan then back to Lone Wolf. The milage is about 65 miles and will take approximately 3 hours and 30 minutes including lunch.